FLU vaccines (Influenza Vaccine) are recommended for most adults and given seasonally each year. 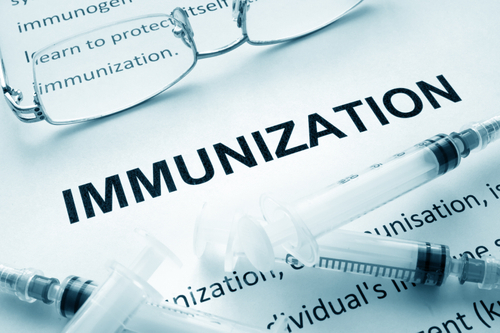 Pneumonia Vaccine (Pneumococcal Vaccine) is recommended for all patients over 65 years of age and patients under 65 who have certain long-term diseases, lowered immune systems, are smokers, or have asthma. Shingles Vaccine (Herpes Zoster vaccine) is recommended for most healthy adults over age 60.